talk about what it's like to work at Aspirus. Hear from Aspirus employees as they talk about what it's like to work at Aspirus. At Aspirus, we believe in being a resource for students and aspiring professionals pursuing careers in health care. If you become a member of the Aspirus family, we believe continuing education for all staff is essential to our future. As part of its commitment to becoming a learning organization, we provide various continuing education unit (CEU) offerings throughout the year. Nurse practitioner, physician assistant and medical student preceptorships and job shadows (offered throughout the Aspirus System). If you are interested in a preceptorship at Aspirus, please review the information below and click on the appropriate link to apply. Once you submit your information, someone from Aspirus will be in contact to coordinate your experience. Who should apply: Nurse practitioners, physician assistants or medical students that are requesting a preceptorship, or providers looking for a job shadow opportunity should use this application. This preceptorship program is offered at locations throughout the Aspirus system. Who should apply: College or technical college students who need an unpaid hospital or health care experience to complete course requirements, should use this application. 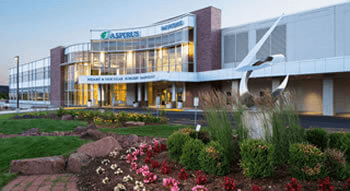 This student preceptorship program is offered at Aspirus Riverview Hospital in Wisconsin Rapids for both clinical and nonclinical students. Strengthens the confidence and competence of staff. Builds proficiency in critical skills and leadership. Strengthens an environment of CARE. Broadens the context through which practice occurs. Enhances the quality of service to patients, families, physicians and other health care team workers. Expands the knowledge base and impact of professional performance. Advanced Cardiac Life Support (ACLS) class. Pediatric Advanced Life Support (PALS) class. Neonatal Resuscitation Program (NRP) class. Other varied opportunities in many specialty areas (pain management, patient assessment skills, medication updates, etc. Stipend for specialty certification and re-certification. And, various ongoing educational offerings on a myriad of topics.